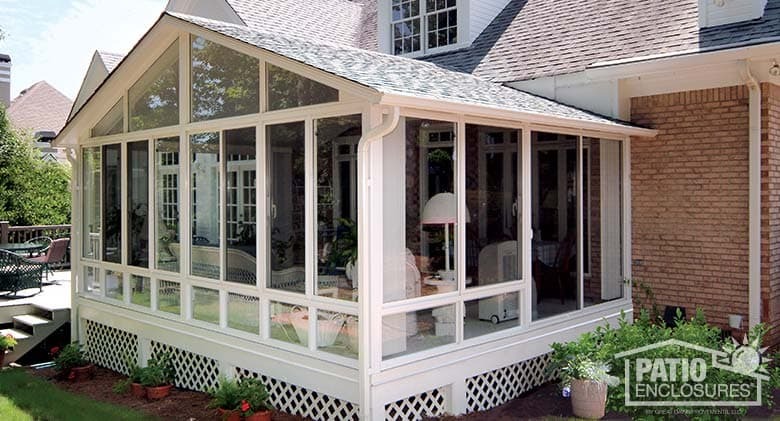 What Type of Sunroom Best Suits Your Home? 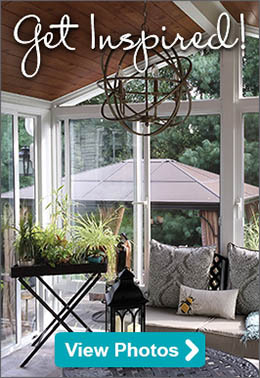 There are many options to choose from when designing a sunroom. 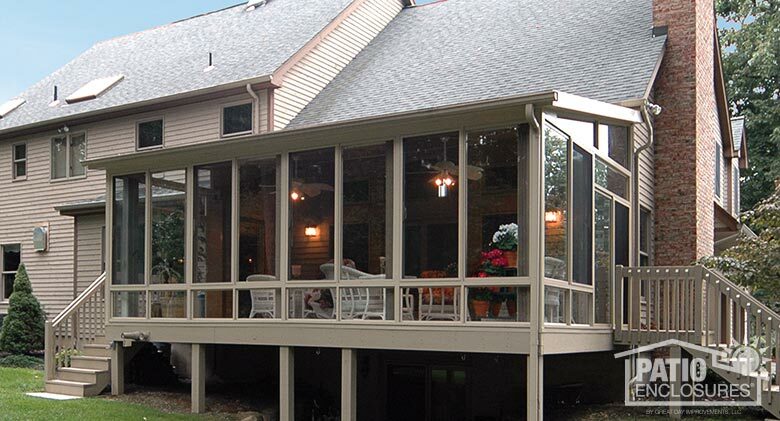 You can choose from a screened-in, three season, four season, solarium or a traditional sunroom. A solarium, traditionally-framed sunroom or all season sunroom usually requires the largest investment, but can be used as an additional living space throughout the year, perfect for a growing family. If increasing the square footage of your home isn’t a primary concern, a screened-in or three season room may be your best option. These sunrooms are designed for homeowners who are looking for more recreational space during the summer months, or who want to enjoy the outdoors without worrying about bugs or inclement weather. With a three season room, you may also be able to extend your use of the room into the cooler months. How will I use my sunroom? Are the Benefits of a Sunroom? Sure, a sunroom adds a light, airy space to your home that tends to positively affect every family member. But also consider this: a home addition like a sunroom adds to the curb appeal and improves the overall look of your home. It conveys a sense of open space and elegance that captures everyone’s attention and ultimately increases resale value, while costing less than a standard home addition. And don’t forget the importance of more sunlight for you and your family. Most of us know that sunlight improves overall health and well-being and reduces stress. That’s something that money can’t buy. And if you’re a plant lover, an area dedicated to their growth also promotes a thriving, positive mood in your home. So how can you make a sunroom possible in your home? Partner with a Professional to Maximize Your Sunroom's Potential. 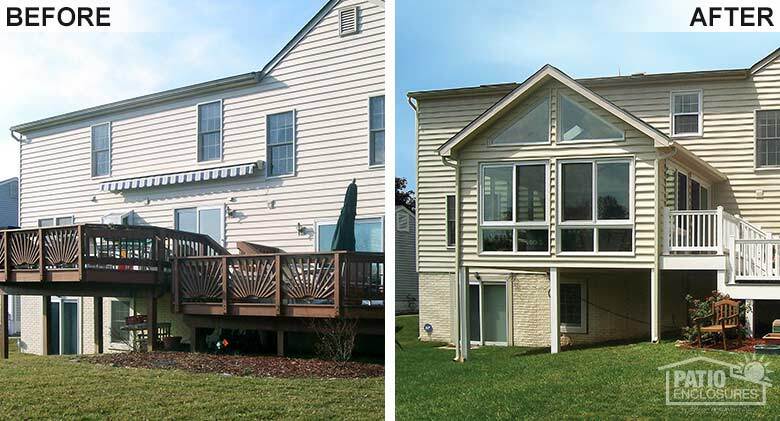 Patio Enclosures offers free, in-home estimates, during which we guide you through the process of designing your home addition. First, we evaluate the layout of your home and ask specific questions regarding your budget and specific needs for additional space. Let’s say you’re planning to build a sunroom near the kitchen. Your new addition may be used primarily as a dining space. If you’d prefer the sunroom close to your living room, your sunroom could make an additional family room or office space. These are all points your design consultant will review in detail. As experts at maximizing space, we will make suggestions that the average homeowner may overlook. A well-planned design is critical to the success of your sunroom. Without it, you run the risk of a home addition that might be too cold in winter (due to poor insulation or substandard windows) or mold and mildew growth during the rainy season. A sunroom in the wrong location could mean the difference between a space that’s frequently used by your family or one that’s barely used at all. We know how to design a sunroom taking into account climate, average daily temperatures and how to maximize sunlight for your particular location. We also consider critical components like easements, property size and using the most cost-effective and durable materials, so your sunroom project stays within budget and lasts a long time. There’s no doubt that a well-designed sunroom is a unique space in a home. Not only does it bring the outdoors inside, but it can be a perfect space for family functions, an office with ambience, or a secret getaway in your own home (which we all need sometimes!). Contact us today by calling 800-230-8301 so we can shed some light on your sunroom project.